Some people are all about the big statement. They want eye-catching and they want something that is sure to be noticed by all who come near. Others prefer to catch the eye in a more subtle way, with more of a hidden beauty. 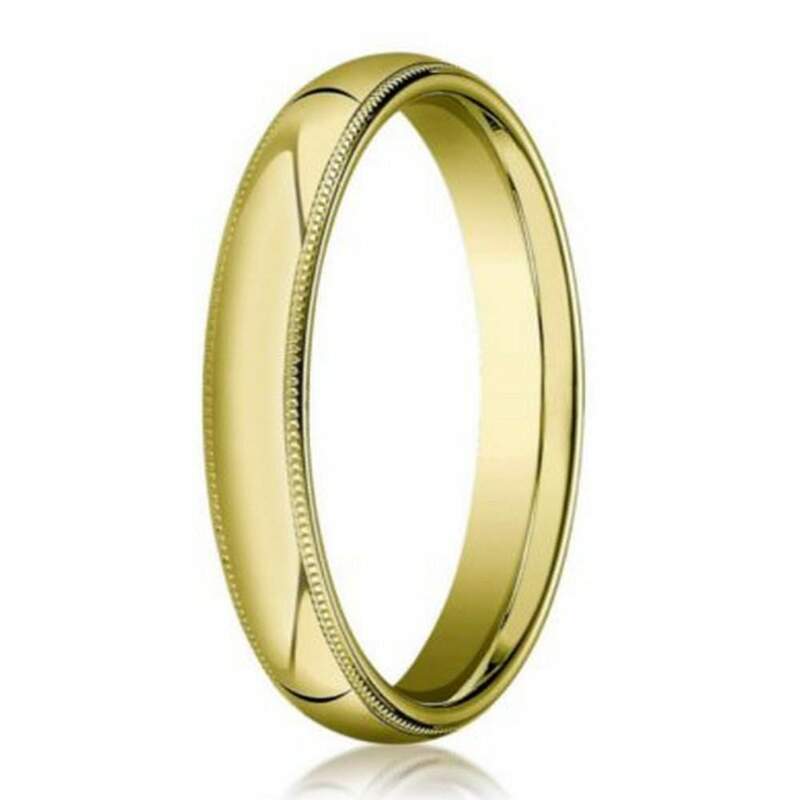 Our men’s designer 3mm domed milgrain polished finish with comfort fit 10K yellow gold wedding band is the second option. Its smaller band size means that it won’t stand out quite as boldly as other options. However, with intricate milgrain edging along a polished band, it can certainly still stand out and show the world that you have made a lifetime commitment. Our designer 3mm domed milgrain polished finish with comfort fit 10K yellow gold wedding band is the perfect option for the traditional man who appreciates the little special details. The delicate edging and the gleaming center are just some of those little details that are sure to make him fall in love with the ring. Our men’s designer 3mm domed milgrain polished finish with comfort fit 10K yellow gold wedding band is not just a beautiful statement of love. It’s also a comfortable one. The comfort fit band assures that this ring is well-designed inside and out. Comfort fit rings usually measure ½ size smaller due to the additional metal inside the ring. We recommend having your finger measured for a comfort fit ring at your local jewelry store. For the final touch, we offer custom engraving of up to 30 characters.